Could the Samsung SGH-T999L be an LTE Galaxy S III variant for T-Mobile? Now would be a good time to have a salt shaker nearby, although the following rumor is pretty spicy already. It turns out there's a Samsung GSM phone that goes by the model name SGH-T999L. The device, which has just been certified by the Bluetooth Special Interest Group, is presumably a version of the Samsung Galaxy S III tailored for sale with T-Mobile in the U.S. That is because the Galaxy S III variant currently on sale at T-Mobile is also known as the SGH-T999, sans the "L" at the end. What could the letter signify? 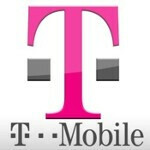 Well, some speculate that the "L" stands for LTE connectivity, which kind of makes sense because T-Mobile is expected to launch its LTE network at some point in 2013. The carrier has already started running tests, and towers are being upgraded to support the new 4G standard. This LTE-capable Samsung Galaxy S III might be a future-proof replacement for the variant that T-Mobile is now offering. In fact, it won't be that surprising if the smartphone is released prior to the LTE network's launch. The T-Mobile Galaxy Note II, for example, has LTE on board, which will be enabled when the time is right, so this upgraded Galaxy S III might very well follow suit. But then again, keep in mind that what you just read is pure speculation. The Samsung SGH-T999L might be something completely different, so it is advisable to not get too excited about it yet. Perhaps if the device shows up at the FCC soon, we'll learn more details about it. this does make sense considering T-Mobile far ahead of their original plan to release LTE rollout in the USA. Heck, almost all the equipment is already in place, all they're doing now is testing it out. I'm making a guess that we'll see the rollout start end of April/Begining of May, go full force in June and roll out quicker than anybody ever thought. It's going to surprise a lot of people. How about 3G in my area T-Mobile? That would be nice. .-. Now if only the things would come back in stock so I could be apart of that. Waiting on the Nexus 10 too, I want the whole family to be together. So in addition to Nexus 4, Note II and now S III would be available devices when T-Mo launches their LTE services with possibly iPhone 5 or 5S and GS IV to follow. That's a pretty good line-up when you ask me. Now it's a matter of when the LTE will be launched in my area. Speculation THIS IS NOT. The current Samsung Galaxy S3 is hspa plus enabled for Tmobile's 42mpbs network. As of today the ONLY device ready for it's LTE ADVANCE 10 NETWORK is the Galaxy Note 2 and the Lg Nexus 4. By adding the Galaxy S3L would bring them the addition plus what will be the future Galaxy S4 and upcoming Galaxy Note 3. It's great to be part of network with a very bright future 2013 will be real big at tmo. Either one is faster than the competition. I believe the current GSIII will get LTE as well as the one coming out.BTW I already made plans to give my GSIII to a family member and I 'll rock the GNote II in white whether LTE or HSPA+42mbps. T-Mobile is waay ahead of the others in this dept not only as the first to get the GSIII , GNote II but having a solid reliable network and I'm glad to be on board. The merger made w/Metro PCS solidifies that LTE is a reality. Richard let me know when pics of the GNote III comes but in the meantime the two will last in the long run.